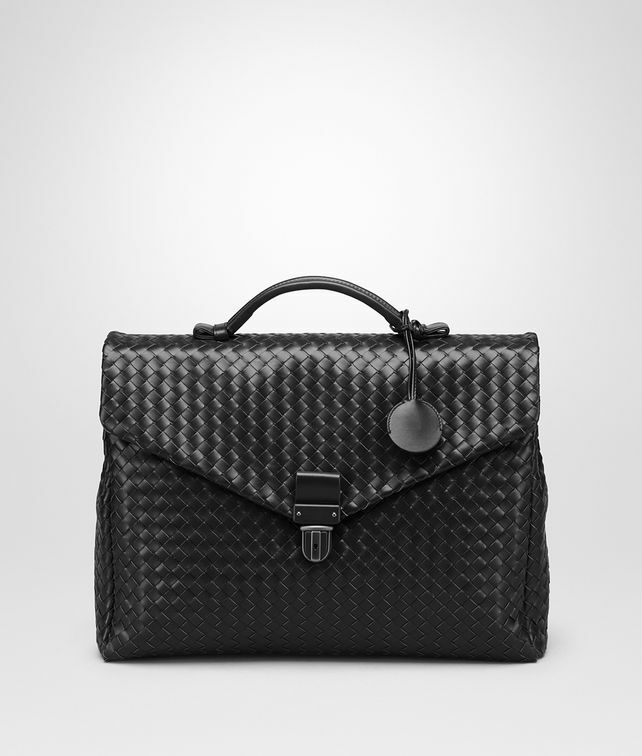 Entirely crafted from Bottega Veneta's signature intrecciato VN leather, which is exceptionally resistant to wear and tear, this classic briefcase features a soft construction, with folding sides and a sturdy top handle. The key to the metal closure is safely stored in the smooth leather pendant. In addition to the wide zipped pocket on the back, there are two spacious internal compartments.